Suzuki Access is one of the best selling 125 scooters in the country as the company sold 39,163 units in December 2018 compared to 26,959 units in December 2017. The scooter registered 45 per cent Year-On-Year growth even though sales have come down slightly when compared to November 2017 but still, it maintains a good lead over its 125cc rivals. The Burgman Street 125 sales dropped massively as the company has managed to sell 3111 units last month compared to 6960 units in November 2018. 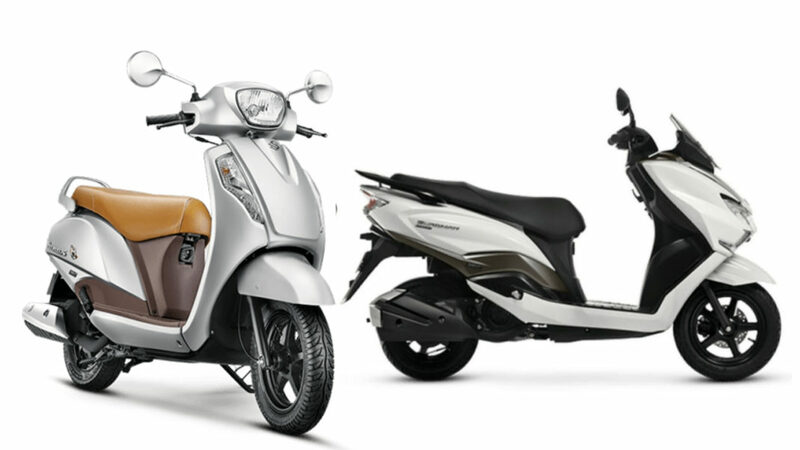 Most of the models in the segment have experienced a drop in sales and the scooter lost the fourth position to Honda Grazia 125. Suzuki launched the Burgman Street 125 in July. The initial response for the scooter was really good. The Burgman Street 125 is based on the Burgman 650 but the scooter shares most of its components with the best selling Access 125. The design theme makes the Burgman Street stand out. Suzuki has already introduced CBS braking system with both scooters as all two-wheeler below 125 cc must come with CBS system according to the new law, which makes them safer and reduces braking distance. Both Access 125 and Burgman Street are powered by same 124.3 cc single cylinder engine producing 8.4 bhp of power at 6,500 rpm and 10.2 Nm of torque at 5,000 rpm. These engines are mated to CVT automatic gearbox. According to ARAI, the Access 125 returns 60 kmpl and 53 kmpl for the Burgman Street. The braking power comes from 120 mm disc at the front and 120 mm drum at the rear. Suzuki has given telescopic forks at the front and hydraulic type dual shocks at the rear, which is tuned for comfort for both scooters. 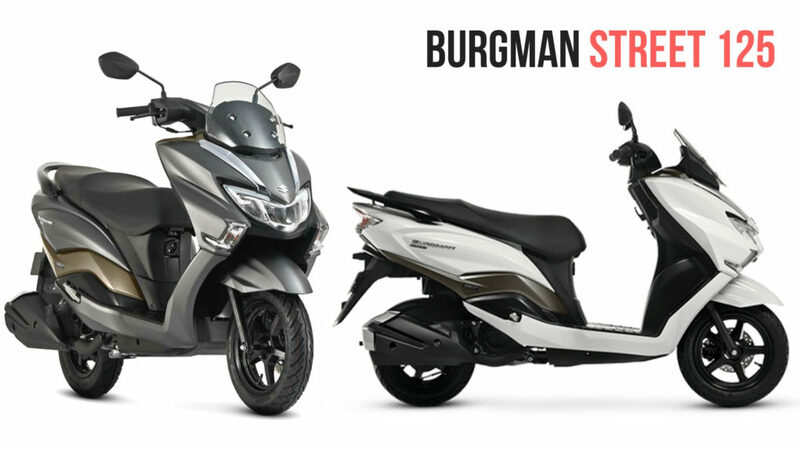 The Burgman Street is 6 kgs heavier than the Access 125 along with slightly bigger dimensions also. Suzuki has also given all-digital instrument cluster, which is shares same design theme as Gixxer series and it comes loaded with lots of information. The Access 125 price starts at Rs. 55,666 and Rs. 68,345 for Burgman Street.